Recent decades have seen a new interest amongst policymakers and scholars alike in charity, voluntary associations and ‘civil society’ in the light of growing pressures on state welfare systems and declining political trust. For historians, this has translated into a growth of research into the many dimensions of voluntary action, from the history of philanthropy to the rise of the campaigning NGO. 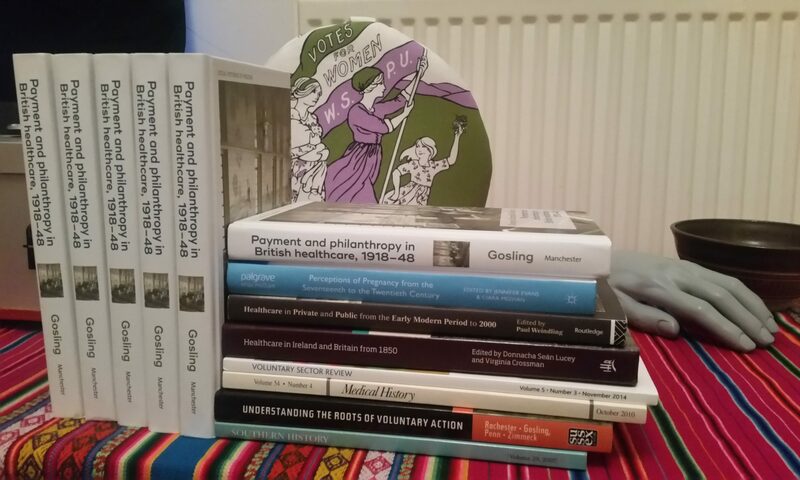 However, much of this work has been pursued, disseminated and debated within a variety of subfields, including political history, leisure history, history of social policy and so on. Whilst the efforts of the Voluntary Action History Society (VAHS) have been instrumental in forging a greater coherence and sense of community amongst scholars working across these fragmented fields, this has not yet made an impact upon the teaching of History at university level. This prompted Dr Helen McCarthy of Queen Mary University of London and myself to organise a roundtable workshop on Teaching the History of Voluntary Action hosted on 12 September 2013 at the University of Liverpool. The day opened with a paper from Professor Bernard Harris of the University of Southampton, with discussants including Charlotte Clements of the University of Kent, Professor Keith Laybourn of the University of Huddersfield, Dr Chris Moores of the University of Birmingham and Dr Pat Starkey of the University of Liverpool, and invited participants including Dr Caitriona Beaumont of London South Bank University and Professor Richard Rodger of the University of Edinburgh. It was the aim of this workshop to bring together a group of scholars active in this field of research who wish to integrate the modern British history of voluntary action into their university teaching, or who already have experience of doing so. By bringing together early to mid-career scholars plus those more established in their careers, the event allowed for a pooling of experience and ideas about how to teach the history of voluntary action. Discussions covered: the key themes and concepts to which students ought to be introduced; how these might be presented (for example, through a specialist module or as part of a broader module); teaching methods and resources; and opportunities for engaging with partners beyond the university (through, for example, voluntary sector placements or work with archives). Our hope was both to encourage innovative thinking around the core issues, theories and debates that should be covered in such teaching and the best ways of doing so, and to establish a pedagogical community committed to the sharing of ideas and experiences in this area. Cait Beaumont, Charlotte Clements and Helen McCarthy are now taking the lead on taking this initiative forward. This event was generously supported by both the Economic History Society and the University of Liverpool.